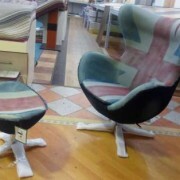 Take this perfect opportunity to get yourself an Hand Painted Limited Adition Arne Jacobsen Swivel Egg Chair and ottoman. 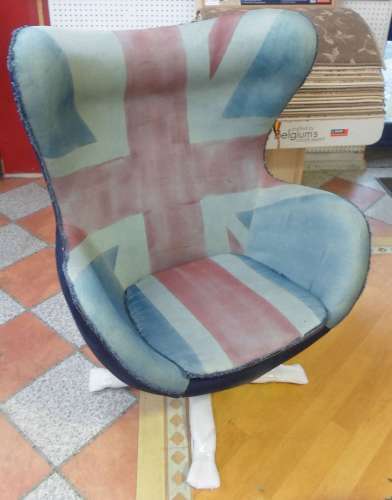 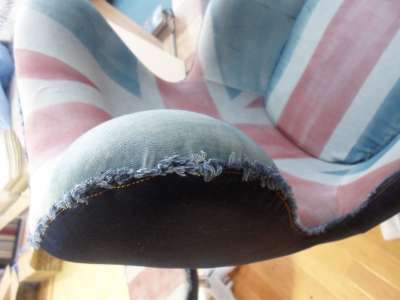 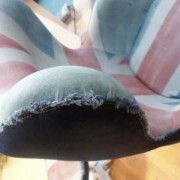 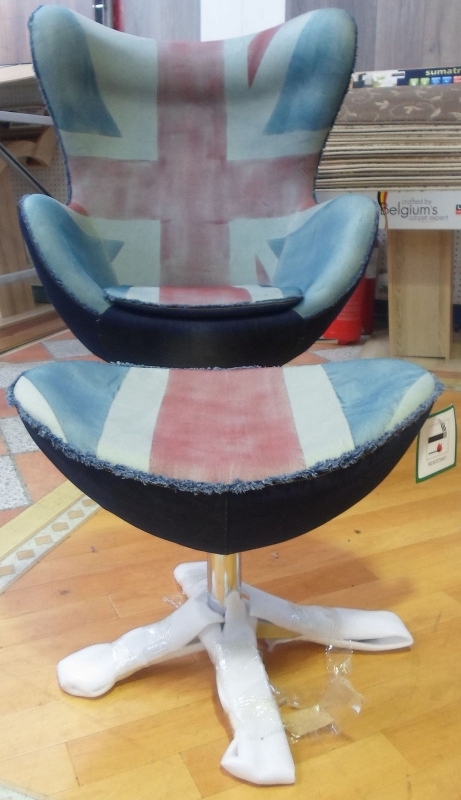 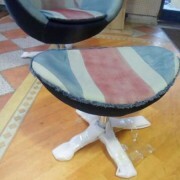 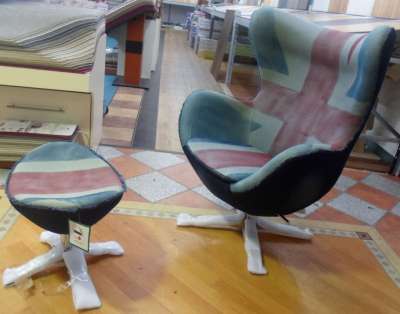 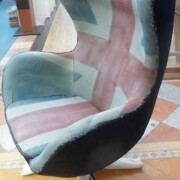 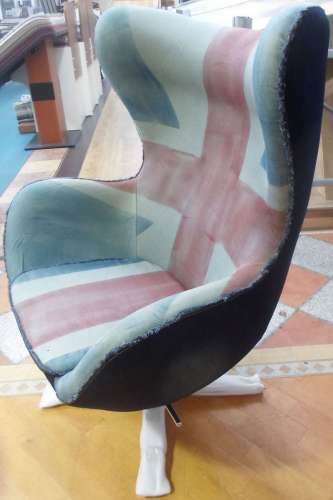 Exclusive and beautiful vintage Egg chair and ottoman with denim fabric and Union Jack painted made especially to celebrate the queen jubilee and the London Olympics. 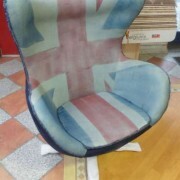 This design classic optimises that vintage look bringing unique sense of style and taste to your room. This ergonomically designed chair uses modern materials with a polished four star base and reclining mechanism for extra comfort.